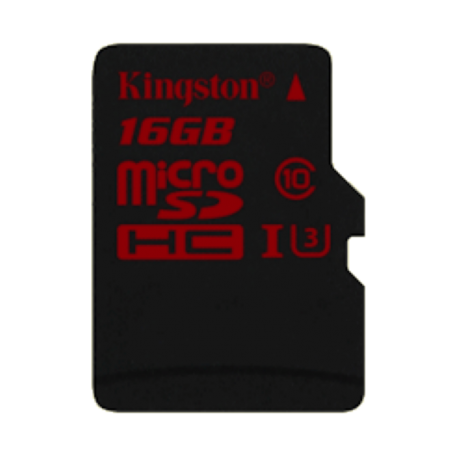 Kingston SDCA3/16GB MicroSDHC kaart kopen? | That's IT! 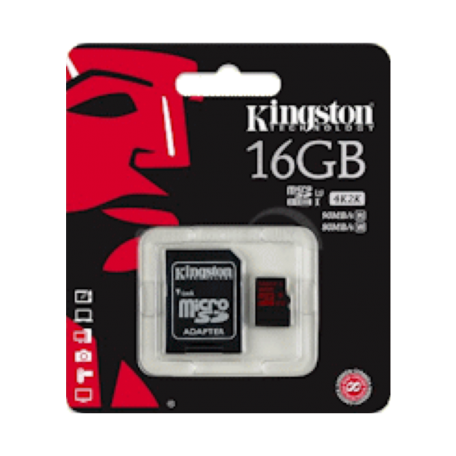 Kingston’s microSDHC/SDXC UHS-I U3 (Ultra High-Speed Bus, Speed Class 3) Flash card features impressive speeds that allow users to capture cinema-quality Full HD (1080p), Ultra HD (2160p), 3D and 4K2K videos. It’s a perfect match for high-performance, small form factor devices such as smartphones and portable camcorders. With speeds of 90MB/s read and 80MB/s write, it makes editing and uploading files faster, especially when used with Kingston’s USB 3.0 card readers, including MobileLite G4 and Media Reader. Higher sustained write speeds ensure video integrity by reducing stutter and allow photographers to shoot in continuous burst mode. Its small size is the standard expandable storage option for many tablets, smartphones and action cameras on the market today. The card can double as a full-size SDHC/SDXC card with the included adapter. This versatile card is waterproof,1 shock and vibration proof,2 x-ray proof3 and temperature proof.4 Photographers can feel secure using the card for action photography and in harsh or unstable conditions. 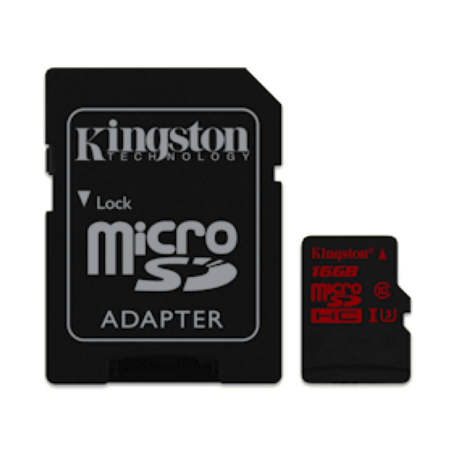 The microSDHC/SDXC UHS-I U3 Flash card is covered by a lifetime warranty, free technical support and legendary Kingston® reliability.